Took the day off from riding and instead went on a little exploration tour on foot. 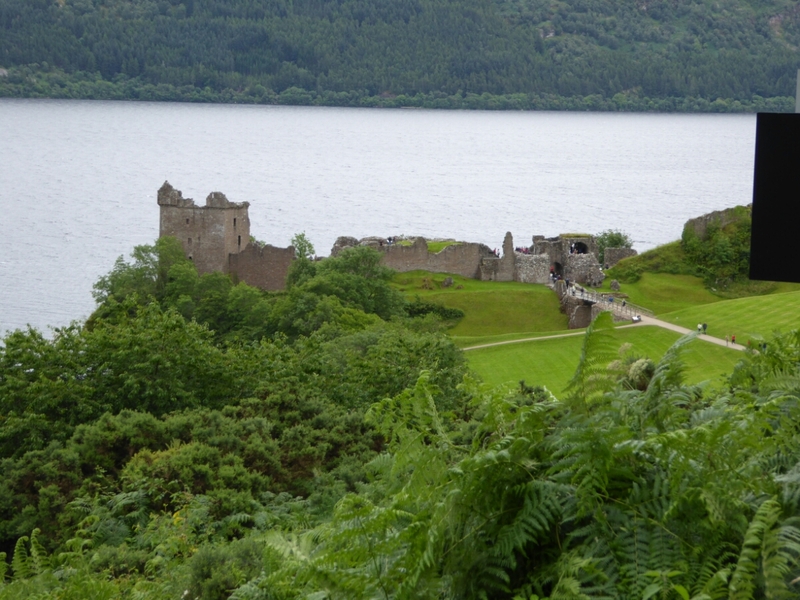 Castle Urquhart is just around the corner (approx. 2 km from my apartment). The castle ruins were quite nice, although to be honest castle ruins all tend to look more or less the same. However, the visitor centre offered an interesting quirk: You pay the admission and get directed down to the visitor centre with the urgent advice to first watch the movie before seeing the ruins. The movie itself is nothing extraordinary. But at the end the screen gets pulled up and the curtains are pulled aside to reveal a stunning panorama view of the ruin. That is presentation art at its finest.